SMOKING IS BAD FOR YOU – BUT FAR WORSE FOR YOUR BIRDS! We are all aware of the health hazards to our own lives of tobacco smoking, and how even passive smoking (inhalation of smoke from someone else in the same room) can be damaging to babies or children. Yet how many people realise that such tobacco smoke is even more dangerous to pet birds? Sixty or seventy years ago almost every adult smoked cigarettes or pipes as a matter of course: it was accepted as the norm, and no health problems were imagined. However, long before that time, it was well recognised that birds were ultra-sensitive to the presence of noxious gases in the atmosphere. This fact was utilised in the employment of canaries down coal-mines, as sentinels to detect methane and carbon monoxide. These gases are potentially poisonous to humans, but long before they built up in concentrations sufficient to damage miners, the canaries would breathe in small amounts and rapidly die. Thus the mine-workers would hopefully have sufficient time to get out before they too succumbed. 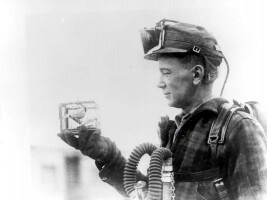 The hobby of bird-keeping has existed for decades, thus developing alongside the smoking culture. However, while most public places (restaurants, cinemas, transport etc.) 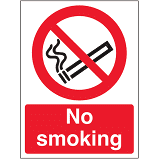 are now designated as non-smoking zones as we have become aware of the health hazards of cigarette smoke, it is still difficult to persuade people around birds that the smoke they are exhaling is potentially more damaging to the birds they keep than it is to themselves! As a veterinarian treating birds I would see this damage manifest in two ways. The first is a result of the atmospheric chemicals on the outside of the bird. If you have ever walked into the home of a heavy smoker, and seen the wallpaper, paintwork, and net curtains stained yellow with nicotine, you will appreciate how this pollutant will also settle on birds’ plumage. Pet birds living in such a home will have feathers that are dull and dark, often feeling greasy to the touch. Their normal attempts to preen and keep the feathers in good order will be in vain, and they will end up over-preening and plucking themselves in attempts to get rid of the noxious deposit. 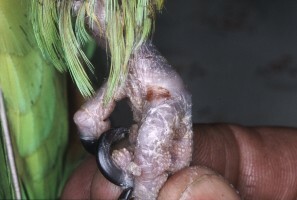 Many cases of feather-plucking parrots we see are the direct result of cigarette smoking in the home. The nicotine that is inevitably swallowed in the preening process will poison the bird, leading to digestive malfunction and nervous signs. Birds that are tame and are handled frequently by the nicotine-stained fingers of their smoking owners will not only have permanently dirty plumage, but the chemical will often act as a direct skin irritant. These birds will develop dermatitis on their legs and feet. The second manifestation of tobacco smoking damage in birds is the internal result of the inhaled smoke and its chemical contents. The tars, nicotine, and hydrocarbons contained in the smoke will settle in the lungs and air sacs of the bird, with exactly the same effects as they do in humans. Blood pressure will rise, lungs will function with reduced efficiency, and the heart will become damaged by the toxins and the extra work it has to perform. So - BE WARNED – smoking is not only bad for you, it is even worse for your bird. Pet birds exposed to tobacco fumes will suffer skin and feather problems, and eventually damage to heart and respiratory system. Air filters, ionisers, or smoking in another room will all help the situation, but better still – DON’T DO IT!! © Alan K Jones 2018.